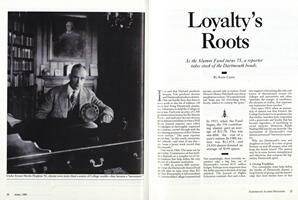 As the Alumni Fund turns 75, a reporter takes stock of the Dartmouth bonds. 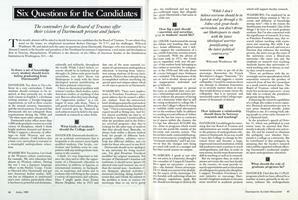 The contenders for the Board of Trustees offer their vision of Dartmouth present and future. We asked two alumni, one an ear editor of the paper, to respond. God and Buckley at Dartmouth. 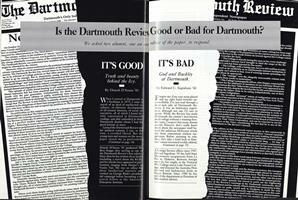 Dartmouth, says the president, will be even more "Dartmouth." Three teams might take titles.